Deamer Ground Work Contractors have been based in St Albans for over 45 years. Providing fast, reliable and an efficient ground working service All our equipment is up to date and serviced on a regular basis. All our staff are trained and licensed. Give us a call today to discuss your project in more detail and for a fast and competitive estimate. Call Ron Deamer on 01727 865762..
Dont count on just one estimate. Give E.R.Deamer Ground Works St Albans a call today and let us quote for your extension, driveway, or other ground work project. Call Ron Deamer on 01727 865762..
E.R. Deamer Groundworks is a family run business. We have been in business for 45 years and during this time we have delivered ground work projects all over St Albans. We very rarely advertise and 90% of our business is from word of mouth from previous customers that have be pleased with our efficient ground work services. E.R. 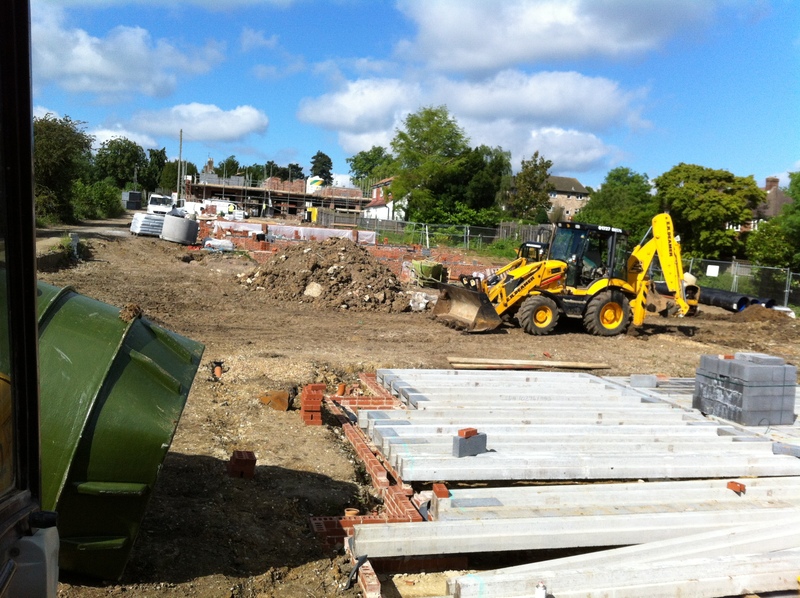 Deamer Groundworks have a range of up to date equipment from JCB. All our drivers/operators are fully trained and licensed. Health and Safety is our top priority at Deamer Ground Works. We dont just turn up and dive in. Deamer Ground Works of St Albans offer a reliable ground work service. With over 45 years experience being based in St Albans you cant go wrong. Call 01727 865 762 today and speak with Ron Deamer about getting an estimate for your job.